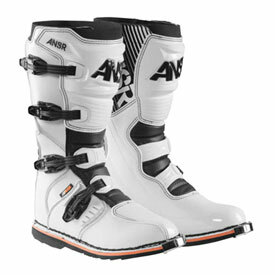 The ANSR AR-1 boot represents a new idea in motocross boots. Inexpensive boots have been around for a long time and no brand had ever really tried to make them good. 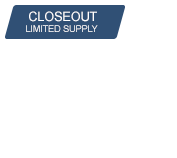 The AR-1 boot is better than good, it offers you far more than is offered by any other boot in its price range. Using just the right combination of synthetics, plastic and high performance textiles, Answer Racing created an upper that is light, durable and protective. They coupled that to a four layer sole system that is stitched on for a foolproof and long lifespan that is easy to re-sole when the time comes. Most importantly this is the only MX boot in the market to feature a shock-absorbing insole made by D3O®. 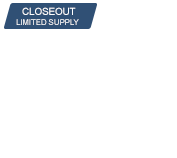 This D3O® cushioning insole is a lightweight, resilient footbed which combines D3O® Lite with a performance, shock absorbing D3O® Decell heel insert. This provides comfort at varied impact energies, thanks to rate sensitive technology. This not only makes it an incredibly comfortable boot, but the D3O® progressive cushioning can also help reduce the risk of lower limb injuries. Four easy adjust steel/plastic buckles. Injection molded plastic shin guard plate. Injection molded rear plate helps protect leg bones. Articulated rear ankle area aids movement. Steel shank system adds support while riding. Uni-directional cut sole specifically for motocross. Thick ankle padding covered in vented material for air movement. Footbed forefoot holes add air flow and breathability. boots seem fine after 2 days riding, neither good or bad, ok for the price. Wife likes them once they broke in. Some blisters on the first few rides and they are pretty stiff when new. Some mink oil soften them up and she likes them better now. I wore these boot for one season, feel well protected, they are comfortable and fit great but the toe box is too stiff. I can't feel the shifter or rear brake. hard to get toe under shifter causing miss shifts and over braking with rear wheel lockup, not always good for tight trails. I bought a pair and everytime I rode in them, the bottom two buckles would come loose and my foot felt like it was going to slide out. These boots look great, feel great, and work great. Definitely glad I got them. Great boot for the money. Seem to be holding up well so far. Very comfortable and broke in quickly. The boots seem great every where except the sole. It has a bubble in the heel that feels like someone jamming their thumb in your heel. I replaced the inner soles with Alpinestar basic inner soles. I like this boot. Great cost, looks great and feels pretty great. Main thing I don't like is the latches didn't want to stay adjusted where I put them. They like to slide around and get looser. I'm a little concerned about how much protection they would offer in a wipeout, but they are surely better than nothing. For the price they are good boot. Does anyone know a sizing chart for riding boots? This is the first pair I'm buying and my shoes size is 11 1/2. What size boot should I get? BEST ANSWER: I bought true to my shoe size and they seem to fit fine.. They feel roomy, but I am happy with the size, it's not like they are floppy or anything.. I have very narrow feet, but I like these boots. I usually wear 10.5 to 11 size shoe. I bought the 11 size boot and it fits good. Still enough room for a thick sock. And way more room than my old boots. If they don't fit the size I order, may I return them for a different size of the same boot? BEST ANSWER: Yes, you can exchange them for a different size. Please make sure that when you try them on to try them inside on carpet or clean floor. Also please do not taken them riding. You will be able to return them as long as they are still in brand new condition with all it's tags and the box it came in.